Representatives of the National Network of Women Human-rights Defenders in Mexico (RNDDHM), which is comprised of 83 non-governmental organizations, have met with Silvia Pimentel and Line Bareiro, experts of the Committee on the Elimination of Discrimination against Women (CEDAW), to address the situation of female human-rights defenders and female journalists in Mexico. 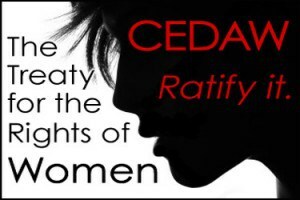 At the meeting, the RNDDHM reported that the Mexican state has failed to respect the recommendations of the CEDAW. Numerous testimonies and examples of this situation were provided. Referring to femicide, it was reported to the CEDAW experts that despite the recommendation to operationalize the Gender Violence Alert (AVG) made in 2012, the mechanism has not been implemented yet. Similarly, the recommendation to regulate crimes considered to be femicide has similarly failed to be implemented. Other issues were also reported, such as the existing backlog in the figures and actual information on disappearances and murders of women, the lack of access for women to health services and information on sexual and reproductive health, and the increased criminalization of women who abort or have positioned themselves in favor of the right to decide on abortion. Atiziri Avila, coordinator of RNDDHM, warned that the failure of the Mexican government to protect women has caused this responsibility to fall on female human-rights defenders, who in in turn are exposed to a climate of hostility and aggression. This entry was posted on Monday, June 23rd, 2014 at 3:38 pm and is filed under Human Rights, Human Rights Defenders, Justice system, Mexico, Women. You can follow any responses to this entry through the RSS 2.0 feed. You can leave a response, or trackback from your own site.